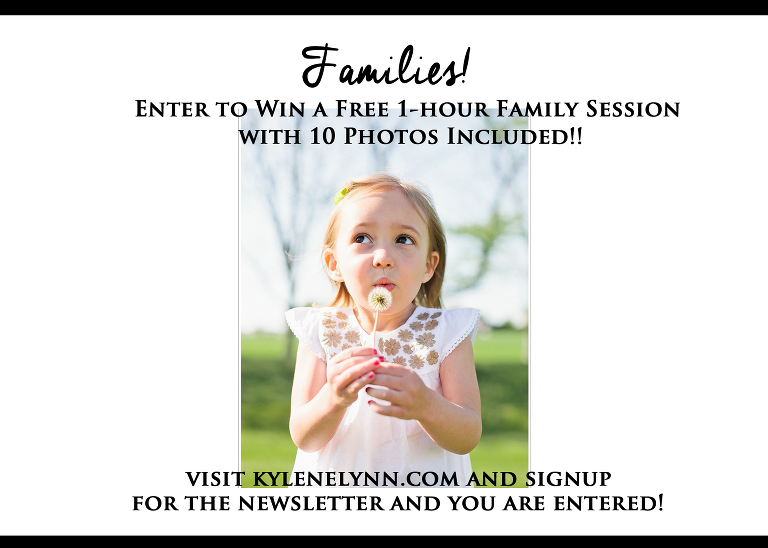 Enter to Win a Family Session – Syracuse Families and Lancaster Families! Next up for the birthday long weekend giveaway fest – a 1 hour family session with 10 photos!! This is valued at over $275! To enter just click on the black newsletter tab and enter your info- (please add your exact city location in the NY or PA box) and you are entered! I’m excited to see who wins!